As the demand for machines that are capable of meeting the needs of today’s modern metal forming designs increases, the need for custom hydraulic presses increase in direct correspondence with those demands. This means that hydraulic press manufacturers are placed in a position in which they must have the flexibility in their production process to produce machines that are highly specific to the needs and demands of their customers. RK Machinery is a leader in providing custom hydraulic presses that are designed and manufactured with a high level of specificity. Whether a company is need of a customized C-Frame press or H-Frame press, technology has opened the way for these machines to be built at a highly specific level. RK Machinery has successfully embraced this technology for the purpose of offering their customers a level of customization that is unparalleled. 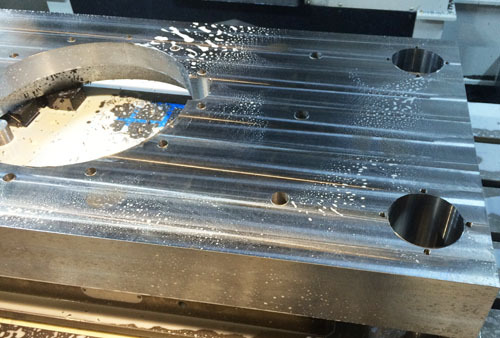 Machining companies are being faced with the challenge of contemporary metal forming and fabricating issues. Designs are becoming increasing more complex and elaborate, meaning that machines have to be more specific in their ability. RK Machinery meets these challenges head on by offering hydraulic presses that have been designed with the specific needs of a particular company in mind. One of the greatest challenges that machining companies face when dealing with highly specific jobs is controlling the cost. With presses that are designed with a specific job in mind, it allows the machining company to produce the metal pieces with great efficiency and accuracy, cutting down on hours logged and the need to reform metal. RK Machinery has built a reputation of offering customized hydraulic presses that meet the highest levels of specificity. The company remains devoted to producing quality machines that are dependable. We understand that success is not only measured in the ability to produce a customized hydraulic press, but in offering the customer a press that is the absolute ideal solution to the challenges that they are currently facing.